Home Server and the new HP2133 ~ Life after Thirty..
Who has a home server? I have been contemplating this for sometime now, as the desktop machine I have is never used. I play my music collection through it, but I am sure I could do something better. Also I am fed up with the desktop constantly crashing, as its too hot inside the cupboard its in. So has anyone ever done this yet? I have an evaluation copy of Windows Home Server, and will probably install it soon.. but I keep reading about Ubuntu or even SUSE. Its free.. its got a great community.. why not? well, I don’t know linux enough to understand the syntax commands. I believe I could use linux as a desktop replacement though. What I want to do is get a Shuttle KPC and create a headless machine, like HomeServerHacks .. I would love to be able to salvage as much of my current machine as possible, especially the HDDs.. If anyone has done anything like this in the past.. let me know! Also, waiting to get my hands on the HP2133 - The new ultraportable laptop for about £400 - its very similar to the EEE PC that has also been getting rave reviews. 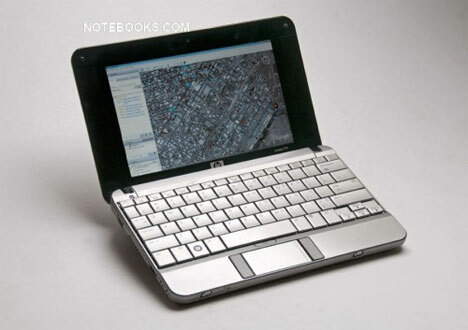 If I get something this small, then its going to be a linux desktop.. free software and everything stored in the Cloud!